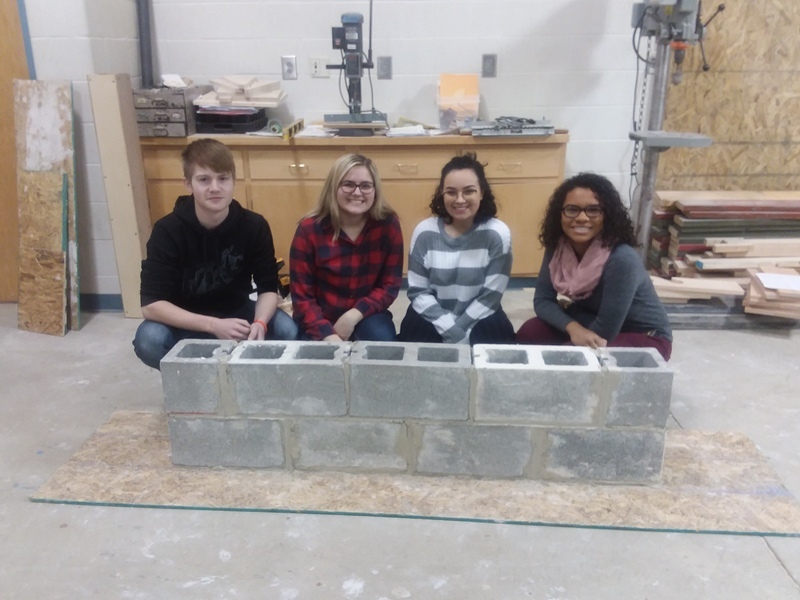 Students from Construction Technology I showing off their handy work in constructing a block wall. 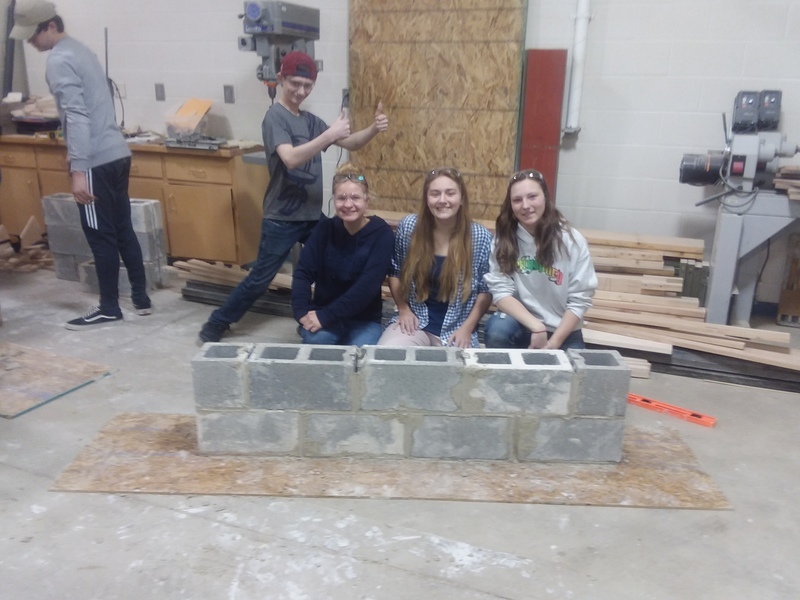 Grand Valley High School Construction Technology Students get the chance to learn the basic skills needed in building and maintaining a facility. The course give the students the chance to understand the basic principles and techniques needed in masonary, wood construction, electricity and plumbing.